Maestro philosophy: “Few but ripe.” It is a mark of class to focus only on elegant, simple, important, emblematic masterpieces. Write enough to give a definitive, impeccable treatment of the subject, but not more. It will be evident that this is merely the tip of an iceberg, resting on a solid body of technical expertise. 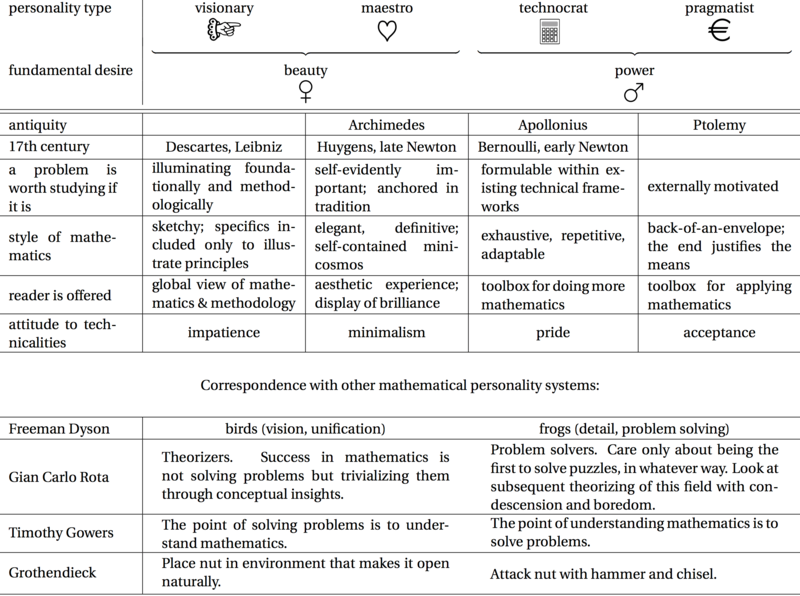 But the tedious explication of the latter—the scaffolding, the tricks of the trade—is left to lesser Technocrat mathematicians. Huygens: tautochrone = cycloid = evolute of cycloid. A typical Maestro versus Technocrat conflict/misunderstanding: Leibniz versus the English on power series in the 1670s. Visionary need Technocrat to spell out the details of their systems. E.g. Descartes: Van Schooten; Leibniz: l’Hôpital, Johann Bernoulli. L’Hôpital’s Rule: typical Technocrat result of the sort condemned here. Systematic theory of integration by partial fractions: a Technocrat topic needed for Visionary, namely “a question of the greatest importance: whether all rational quadratures can be reduced to the quadrature of the hyperbola and the circle” (Leibniz). This forces Leibniz, reluctantly and contrary to his nature, to do some Technocrat work, with poor results (Leibniz erroneously believes that “ can be reduced to neither the circle nor the hyperbola by [partial fractions], but establishes a new kind of its own”). A typical Visionary, Leibniz clearly has very little interest in actually evaluating integrals, and only cares about giving a big-picture methodological-foundational account of integration in general. Myth: Early Leibnizian calculus driven by applications; lacks attention to rigour. Hence typically Pragmatist. 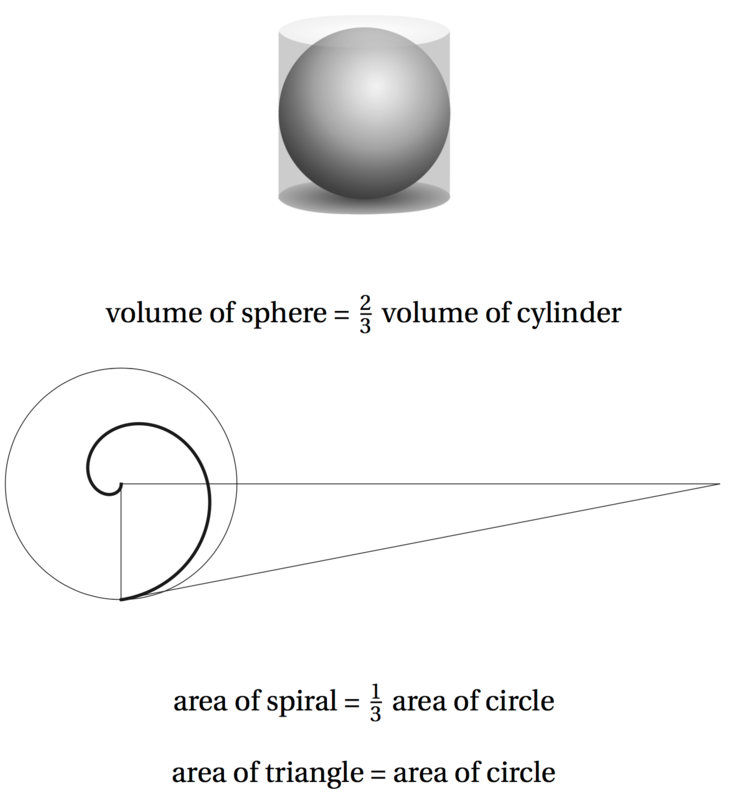 Reality: The exact opposite: Early Leibnizian calculus primarily Visionary. It was actually indifferent to applications and was consumed by rigour, only rigour meant something completely different at that time. This is one of the main points of my book.